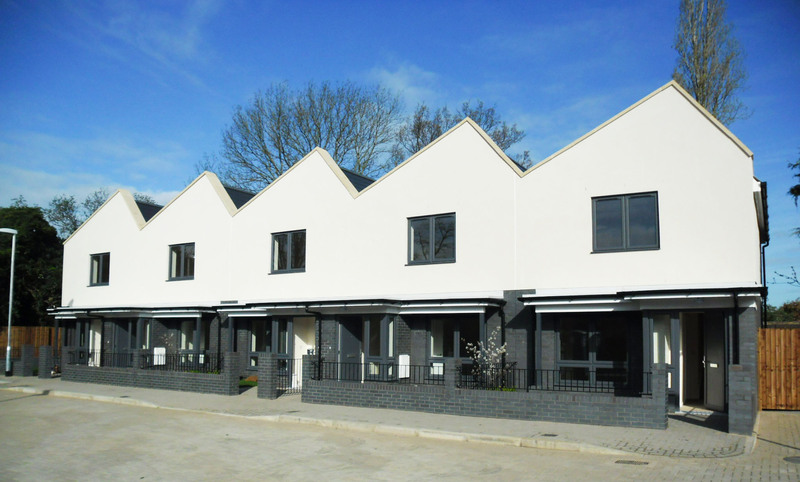 This new development was designed for Hillingdon Council following the approval of a non-viable development by a previous consultant for the site. KKM Architects assessed the potential of the site, and fully re-imagined the roofscape and internal unit layouts to achieve workable methods for construction without compromising the dynamics of the design and commensurate with the extant permission. Simplifying the complexities of the saw-toothed roofscape, with the integration of secret valley gutters, required complex and robust detailing to omit the potential for any future water ingress or staining. Asymmetric butterfly parapet walls pushed fixings to new limits to achieve the dynamic gable ends. 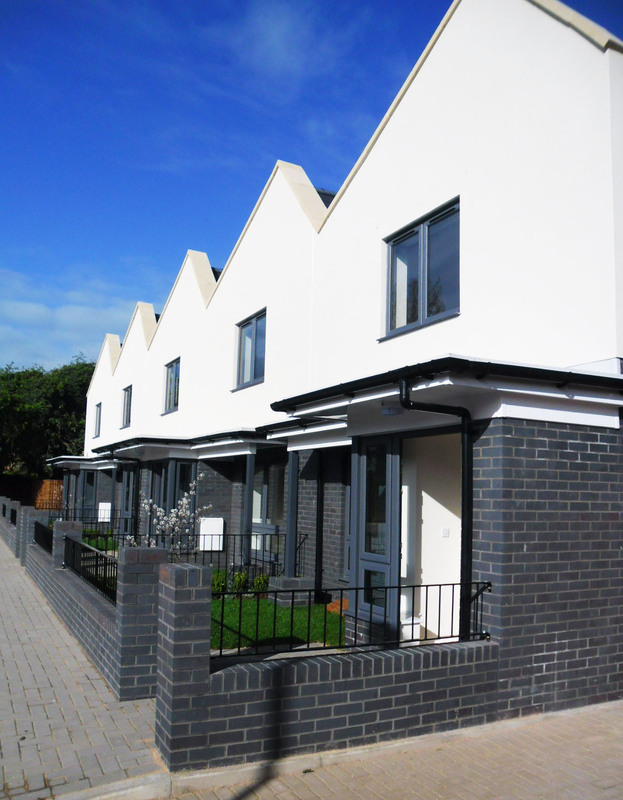 Sustainability and longevity were key parameters, with Thin-Joint construction utilised to push the performance of the building envelope well beyond the requirements of Code Level 4, resulting in very low air permeability and free from thermal bridges.